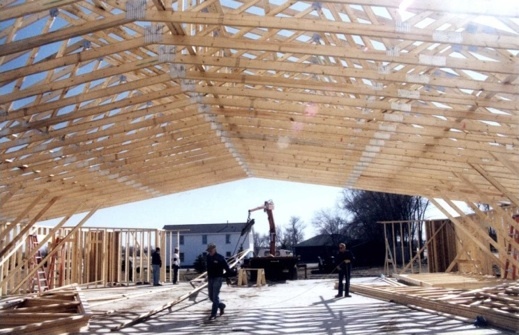 Continuing my series of posts that originated from reader questions, today I’d like to tackle a few suggestions that I always give to churches who are starting a building project. I always say the same thing, mainly because these are the areas I see churches skipping time after time. Skipping these things ensures two things: First, you and your congregation will not be happy with the performance of the sound, lighting and/or video in the room. Second, there will remain a healthy market for companies that specialize in fixing churches that were designed and built poorly. First, the overall acoustic signature of the room has to be correct. This is where most churches skimp out. They let the architect design the building; which is fine except I've yet to meet an architect who has any real clue how acoustics work. A few do, but they're the ones who design churches for a living and have acousticians on staff. So I strongly suggest all churches have an acoustician look at the plans before they are finalized. Most of the time, it only takes a few tweaks here and there to make a huge difference in how intelligible the room will be, and most of the time the cost to build is the same or only marginally higher. Very few churches get this part right, and it's why there's a huge market for acoustical study and retrofit of existing buildings. I guarantee doing it after the fact will be more expensive by a magnitude of 3-4x. Choose your vendors carefully of course; make sure they have a proven track record of getting church design & install correct. Don't skimp on the design and planning phase. Cut out equipment if you have to. You can always start with a cheap analog mixer and upgrade to digital later. It's a lot harder to acoustically retrofit a poorly designed building. It's better to start with just a few lights and add as you go than to be fighting too low of a trim height because the building wasn't designed properly.